Dive into examples of successful business and community partnerships to support career readiness, service learning, and afterschool and enrichment programs. Edutopia's flagship series highlights practices and case studies from K-12 schools and districts that are improving the way students learn. Below, find downloads used by practitioners at featured schools, and explore real-world examples of community partnerships. 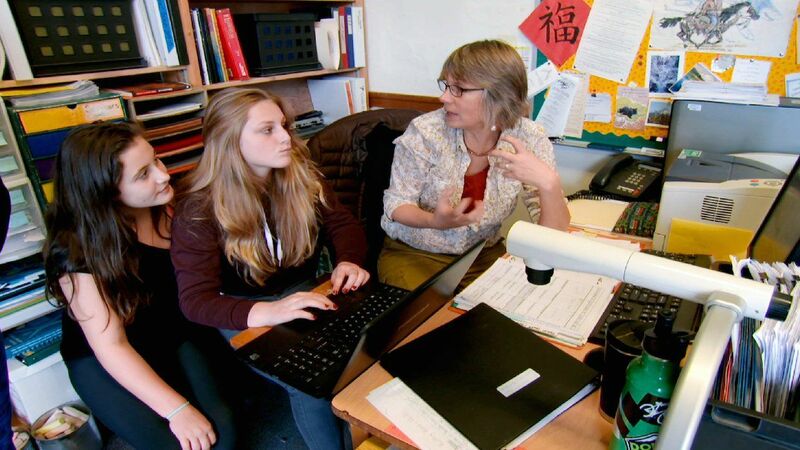 At Hood River Middle School in Hood River, Oregon, local experts make learning come to life. See how Hood River connects to community members as a part of place-based learning, and learn how this school has turned itself into a community hub. Find out how Walter Bracken STEAM Academy Elementary School in Las Vegas, Nevada, partnered with organizations to bring lessons in financial literacy to the school. Then learn how the school found donors and brought in gardening experts to transform school grounds. Crellin Elementary School in Crellin, Maryland, uses community needs as real-world catalysts for learning. Learn how Crellin educators reach out to the community to identify opportunities for place-based learning and invite community partners into classrooms to share their expertise. Community-Based Learning Syllabus -- Download an overview of the semester-long course for students in the community-based learning program. Community-Based Learning Evaluation Form -- Download an evaluation form sent to community partners at the end of each semester to reflect on a student's work and performance. For students at Normal Park Museum Magnet School, the entire community of Chattanooga, Tennessee -- from museums and cultural centers to local businesses and natural areas -- provides opportunities to make real-world curriculum connections; discover how Normal Park engages community partners to provide these new opportunities for learning. Have you built successful community or business partnerships with your class, school, or district? Are you aware of other helpful resources? Please share your experiences and any additional resources in the comments.